When the pressure of the vapour of an element in equilibrium with the liquid is 1 atmosphere, the liquid element boils. Complete conversion into vapour, requires the absorption of the the enthalpy of vaporization, %Delta;Hvap. Image showing periodicity of the chemical elements for enthalpy of vaporization in a periodic table cityscape style. 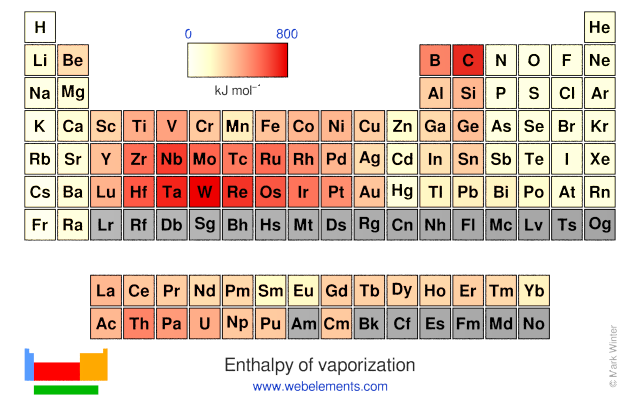 Image showing periodicity of the chemical elements for enthalpy of vaporization in a periodic table heatscape style. 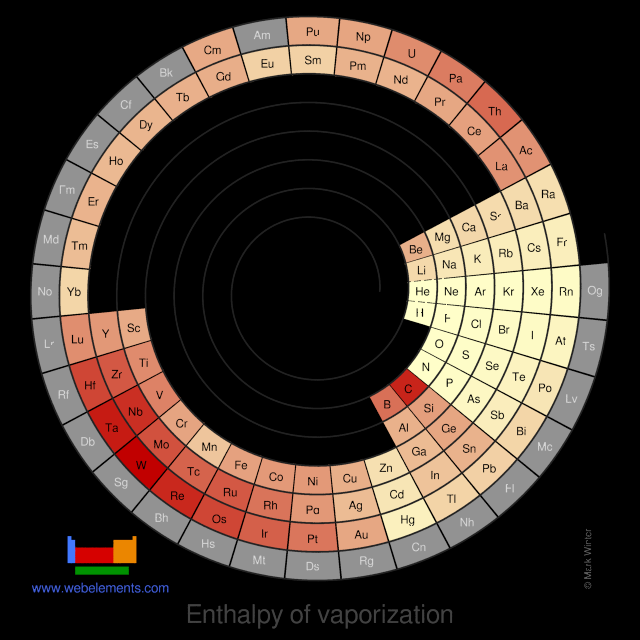 Image showing periodicity of the chemical elements for enthalpy of vaporization in a spiral periodic table heatscape style. 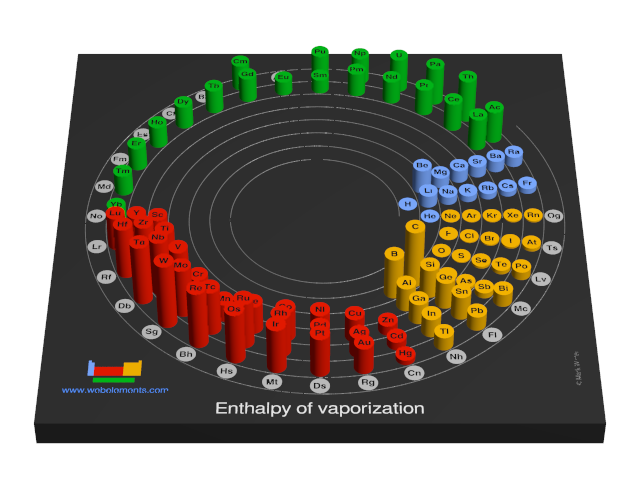 Image showing periodicity of the chemical elements for enthalpy of vaporization in a 3D spiral periodic table column style. 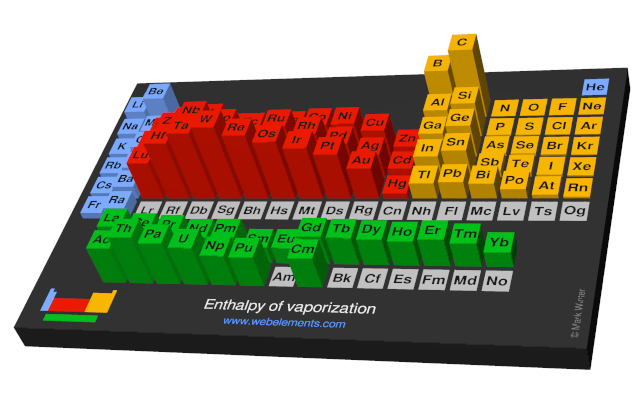 Image showing periodicity of the chemical elements for enthalpy of vaporization in a 3D periodic table column style.